It is with great pleasure (and relief!) that the current Lunchsat team is able to welcome its new members – each of which are taking the proud commitment to join our project as we rocket into 2010 with challenging ambitions. The new graduates have been individually selected to join the unique Graduate Development Programme (GDP) and Direct Entry Graduate (DEG) schemes of EADS Astrium, both serving as the next logical step from university as they allow the graduates to develop their skills over a two-year period. DEGs can gain valuable contacts and accelerated experience over the two years in a single department. The GDP enables graduates to gain a wider portfolio of skills and experience as they are encouraged to partake in a minimum of four six-month rotational placements, to fully understand and appreciate the Astrium business in Stevenage, Portsmouth and continental Europe. Each new Astrium graduate that has chosen Lunchsat as their auxiliary project will be bringing their own experiences, qualities and talents to the initiative, with this year's intake representing backgrounds from both technology and business in equal measure. They join the current members of the team at an exciting turning point for the project, as we start looking forward to an imminent launch and in doing so, commission a new Operations subsystem in readiness to handle post-launch attitude and maintenance of the Lunchsat nanosatellite in space. Select project members from the previous 2008-09 year are set to become the new technical experts and subsystem leads as they assume advisory roles for the new graduates. The all-new lineup for 2009-10 sees Matthew Ashworth (Portsmouth Groundstation), Alex Buick (Operations), Billy Chan (Payload: Imager), Martin Discors (Payload: Imager), Perry Hinneh (Mechanical), Goodwell Kapfunde (Stevenage Groundstation), Christopher Lord (ADCS), Daniel Ludlow (Communications), Fatou Mbaye (Systems), Timothy Mead (Power), Ian Miles (OBC), Stephen Pulker (Project Management, OBC), Natasha Pushkin (Thermal), Nicolas Sarda (Stevenage Groundstation), Mauricio Molas Serrano (Portsmouth Groundstation), Thomas Stuttard (Systems, Power), Andrew White (Communications) and Benjamin Yarwood (Mechanical) join the team. They join golden oldies and those dedicated few continuing their roles from last year: Nicholas Carter (ADCS), Martin Garland (Payload: Imager), Stephen Jones (Portsmouth Groundstation), Edward Nelson (Thermal), Gurmeet Singh Pawar (Power), Julia Ryan (Mechanical), Jason Stones (Media) and Jonathan Wynn (Payload: Imager), headed up by project lead Nick Fishwick and overseen by project champion, Ronan Wall. You can keep up-to-date with this year's exciting Lunchsat developments on this blog and on our website at http://www.lunchsat.eu/. Stay tuned and follow our ambitions as we move forward into 2010 and evolve our nanosatellite project from a hobbyist lunchtime activity to a launch-ready payload! 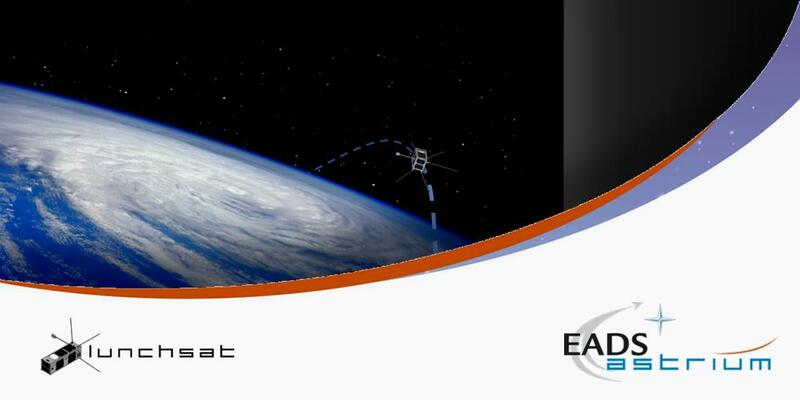 Lunchsat is a unique graduate initiative of EADS Astrium – a mission to build a cube nanosatellite that carries the minimum of what is needed to fly and operate in space. 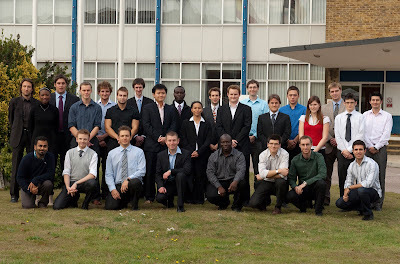 Find out more about Lunchsat and the new team for 2010; space company EADS Astrium and its graduate entry programmes.